The Sorting Hat has spoken! After three very long days of deliberating- the Sorting Hat has spoken! Congratulations to the Snakes- Returning, new and old! A special welcome to our First Years!!! term here in the House Cup! Hat's off to the SortingHat for another thought provoking sorting form! but also to learn a little more about me! 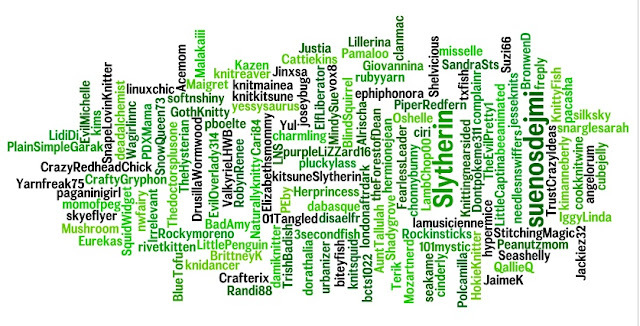 Is Slytherin your House of choice? Robes that cunning students wear. will remain open until non POT on April 23rd. Don't miss your chance - sign-up here!! ! Well, that’s all my pretties! Another term finished. Don’t forget to pack up your Hotties, tuck away your plotting and mark your calendars for the Sorting Hat. According to the Cheat Sheet the Lions really cranked out the homework and blew us all away, but that doesn’t include Quidditch, OWLs or NEWTs, so you’ll have to wait until the official scoring to find out who wins this term’s cup. You know those Claws love to OWL and there up close in second. Don’t be too hard on yourselves Noble Slytherins; we actually turned in 50 more homework assignments than last term when we won so a really great job to us all. Favorite class of the term was January Potions with over 414 assignments handed in. Come and join the parties because we all passed another term! Also hang around for between term fun because now we are all just House Cuppers until May. Stay Crafty Snakes. Peace out.